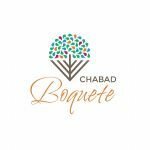 "Yeshivocation Boquete" is a program that was launched in 5777 (2017) for the first time, trying to develop a new concept in Yeshivah Summer Camps. The first edition was offered to the local Panamanian community, staffed by foreign Yeshivah bochurim, aiming to challenge the paradigms that disenchant today's students and give them a fresh, exciting and fun taste of learning, Judaism and life. 1) A clear worked-out learning curriculum or Sugya (to be shared with the parents) in Niglah and Chassidus, with clear objectives, commentaries, levels and phases, that will give the campers a fresh and enjoyable taste of learning Torah. 2) Exposure to some of life's real situations, offered by the colorful and well-prepared American expat community in Boquete including: coffee processing, dairy production, honey making, wood working, farming and other amazing experiences that will give campers direct contact with nature, reality, hard-work and the opportunity to develop individual creativity and qualities. 3) Extreme outdoor activities, taking advantage of the natural beauty of the Boquete, Chiriqui region of Panama. Including waterfalls, rivers, rafting, canopy, hikes, horseback riding and much more! We believe that every child has unique qualities and infinite potential. We believe that every child's connection to Judaism is intrinsic and can be tapped into, exposed and developed. Our program aims at giving every camper the opportunity to discover his inner self through the above mentioned program and through our personal and caring attention.